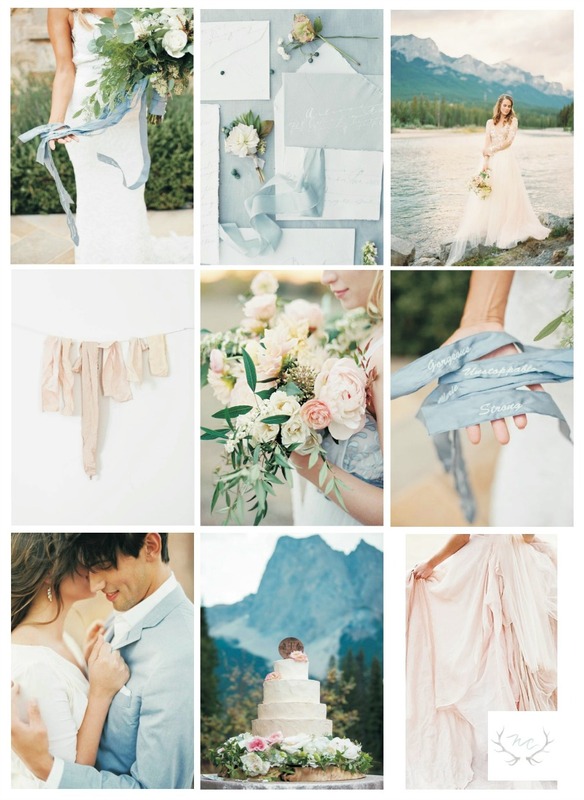 With the 100th Anniversary of the Calgary Stampede just around the corner, I thought it would be appropriate for a “Western” wedding inspiration board. The “western culture” is in our blood around these parts. My mother grew up on a ranch when she was young and has fond memories of training and riding horses. She also remembers the very first time she visited the Calgary Stampede with her grandfather when she was very young. I can’t remember the first time I was on a horse because I was so young, but I also have fond memories of horseback riding in my youth (and yes, getting bucked off, but always getting right back on). Even though I have horses now, I don’t get out to ride as often as I would like. But there’s just something about rustic wood beams, weathered old barn wood, old horse shoes and of course, horses that I love! The Calgary Stampede honors our “Cowboys” and “First Nations” heritage and even though Calgary’s new motto is “the New West”, I still love the history and the spirit of the ‘Old West”. Happy 100th Birthday to the Calgary Stampede! Are you planning a western wedding? If so, what ‘western’ elements will you be including? To see more beautiful work from Banff and Melbourne photographer HIS.CO Photography click here and from a western inspired wedding shoot here. For more information on our Naturally Chic wedding planning and event design, call us at 1.888.679.9056 or drop us a line at hello@naturallychic.ca. A wedding theme that I am just loving right now is the “equestrian” theme. As a horse owner myself, I’m loving this popular new trend. Of course, you don’t have to own a horse to want to incorporate western or equestrian elements into your wedding. All that’s required is a love for the animal! 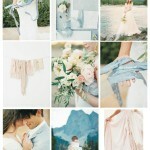 One of the things I love most about this theme is that it can work well in both elegant and rustic settings, or both! And you don’t have to have a barn for your wedding venue either (though beautiful barn or ranch doesn’t hurt)! So, how can you achieve this look? Personally, I love the contast of elegant and rustic, pretty and well-worn! Try mixing romantic, soft flowers with rustic elements such as reclaimed barn wood and leather. Rustic wood signs and stationery with a horse or horseshoe motifs work well too! Think classic and elegant, like something from a Ralph Lauren catalogue. Or, you could go a little more “western”; saddles, hay bales, etc. Here’s a little inspiration to get you started! Photo Credits: Bride on Horse via Wedding Chicks (KT Merry Photography), Bouquet on Saddle via Wedding Chicks (KT Merry Photography), Wood table number by Naturally Chic (photo Naturally Chic), Cake Topper, Garret Nudd Photography, Barn via Style Me Pretty. For more information about our wedding planning and design services, contact Naturally Chic at 1.888.679.9056 or email us at hello@naturallychic.ca!